If you run an injury or medical based business such as a Chiropractor, Physiotherapist, Sports Injury Clinic or any other type of business which deals with helping people recover from injury then having a well designed and modern website will help you to gain more customers. 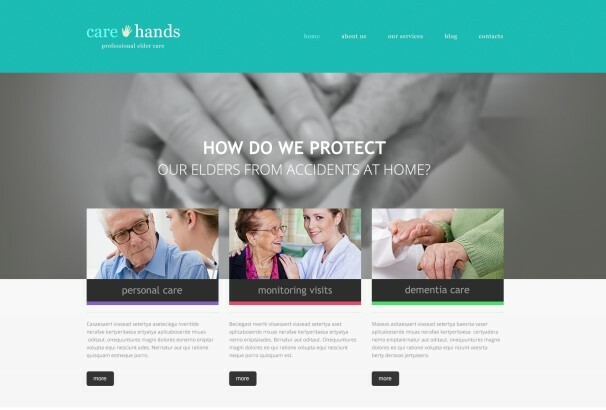 People will be searching for help in times of pain or injury so they will be looking for a website that instills trust and clearly spells out how they can be helped. The website should show what qualifications the owner has, what types of injury can be helped and as much information as possible. Functionally, the website will need things like a booking form, a photo gallery, testimonials from previous patients, location finder ( google maps ), glossary of terms, information about treatment types and success rates and so on. WordPress is the most popular CMS for building business websites, its free to download and use due to it’s open source license which means you will only have to pay for suitable web hosting and a theme which provides the design of your site. You don’t even have to pay for a theme as there are many great free options available, we do recommend a paid theme for important business websites though as you will be supported by the developer should you need any help figuring things out. 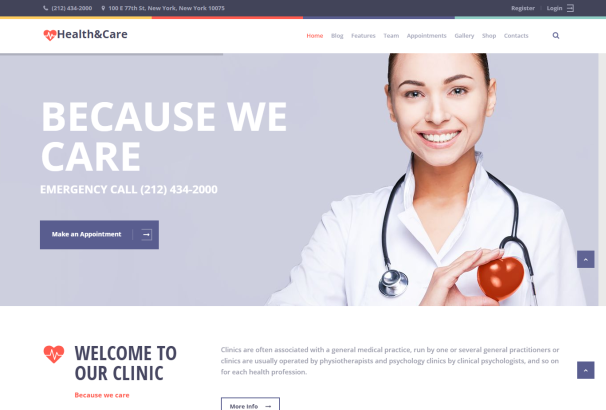 We have gathered together over 50 suitable WordPress themes for Physios and Chiropractors which have all been designed for this specific type of website. They all have a “medical” feel to them which means they look clean and clinical. They are also responsive which means they will work on mobile phones, tablets and all other devices. 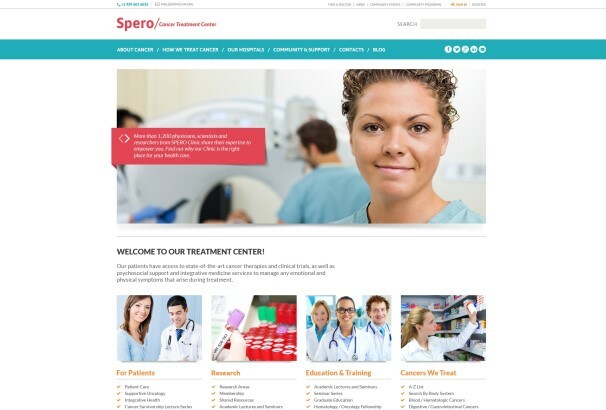 Also see our other related post “Medical WordPress Themes for Hospitals, Doctors & Clinics”. 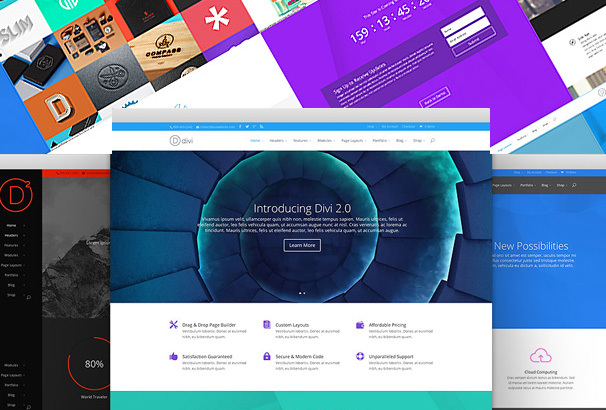 Divi is an amazing multi-use WordPress theme that allows you to build fantastic websites without any coding knowledge. 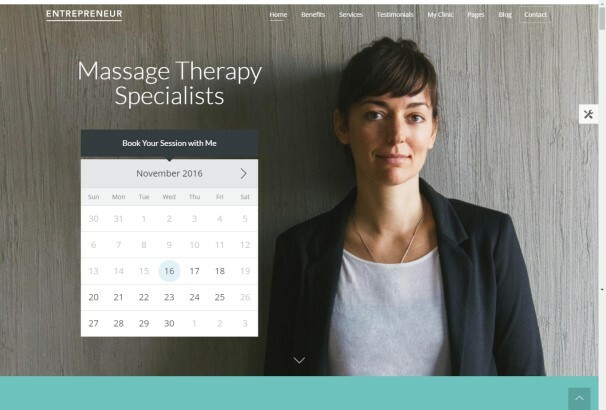 The integrated Divi Builder fully equips you to showcase your physiotherapy or chiropractor business to its best advantage. 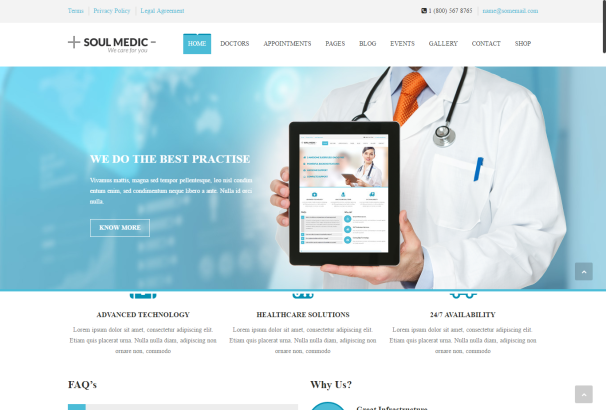 A stunning, responsive WordPress theme excellent for any medical website or blog. This theme enables you to present your information with absolute clarity as is required by a medical professional. 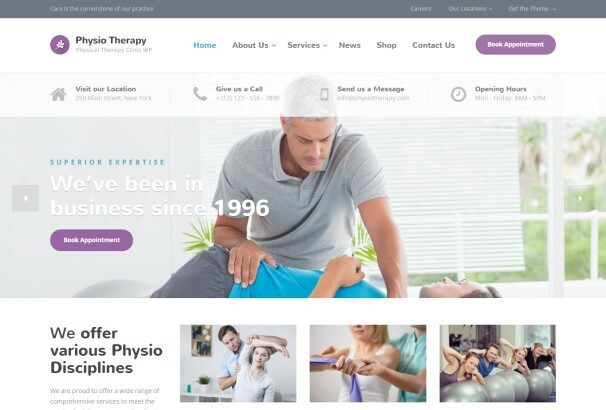 Physio is a WordPress theme built for physical therapy clinics, rehabilitation clinics and others that offer medical related services. An integrated one click demo importer will allow you to build your new website super easily. 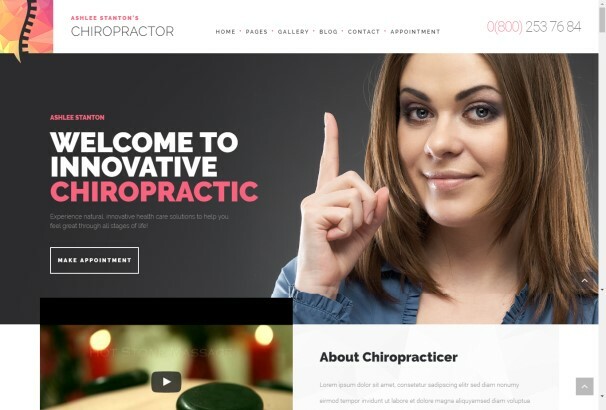 Chiropractor is a modern and carefully crafted WordPress theme for rehabilitation centers, manual therapists, chiropractors, health and wellness clinics and other similar businesses. Built on Unyson framework and equipped with its powerful extensions and page builder this fully responsive theme is also SEO optimized and retina ready. This fully featured theme includes a fully integrated slider and many other amazing adaptable options as standard. Boldly styled elements and a fully responsive design come together to give your new site real impact. 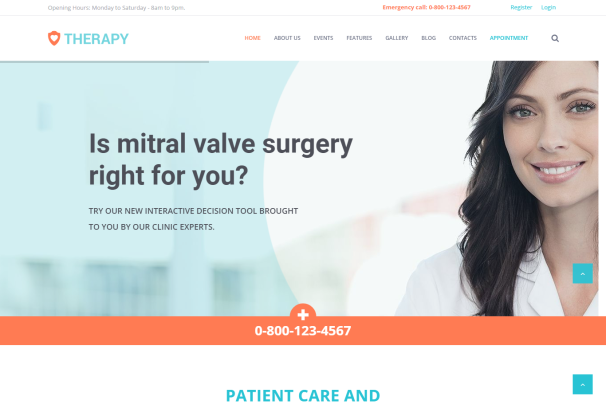 This minimally designed theme from WordPress is suitable for a wide range of medically related businesses. Offering a full package of premium features including sliced PSD, custom page templates and calendar, this quality theme also comes with fully integrated maps to enable your clients to easily find your location. This is very clean and visually appealing theme from WordPress is ultra easy to modify and works well across browsers. Tweak some of its many features to create a truly bespoke site for your medical related business. BeautyFit is a web masterpiece for beauty sites such as spas, salons and beauty stores as well as health sites such as gyms. It comes complete with a fully integrated WooCommerce store, multilignual support, page builder and 3D layer slider as well as a host of other amazing features. Cosmedix is a clean, flat and modern WordPress theme suitable for gyms, health clubs, event agencies and a lot more. Fresh and appealing in design, it contains many great features as standard. 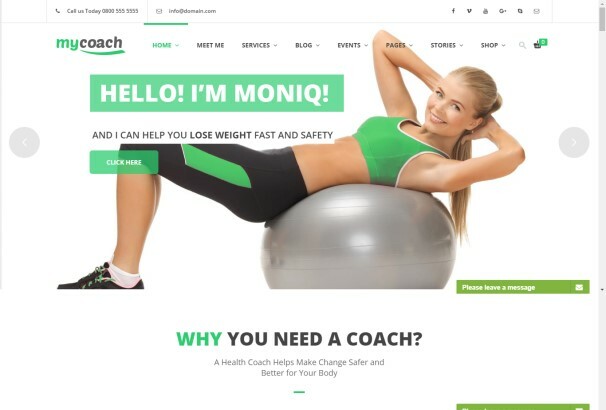 My Coach is the perfect WordPress theme for those who are in the health coaching business. Fully responsive in design, it will look amazing on all devices from desktops to iPhones. 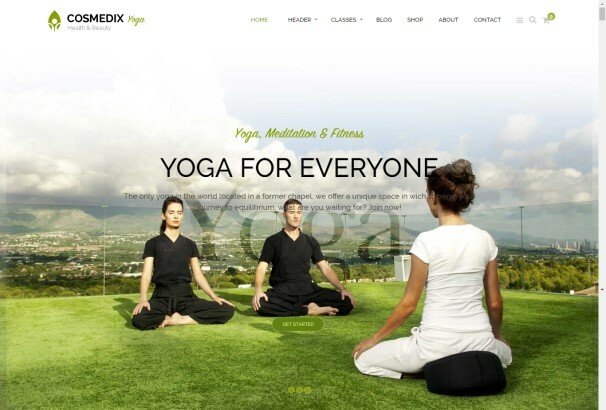 Yogi is clean and delightful theme for any spa, wellness, fitness or health related website. It includes 4 custom post types, testimonials and tons of shortcode and widgets. Its minimal design will allow your content to shine. 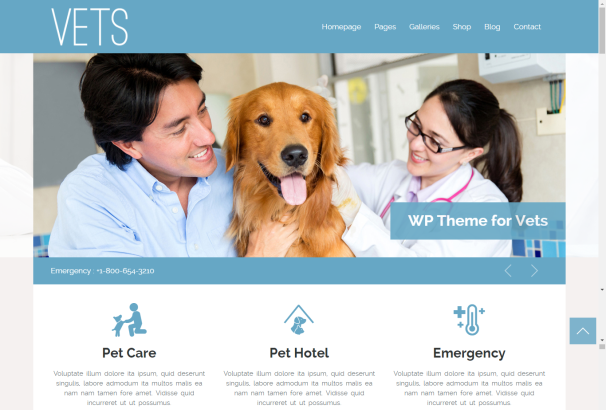 Vets is responsive WordPress theme for veterinary, health and medical websites. Contemporary and sleek in design, it boasts a complete range of fantastic features which are also fully flexible. 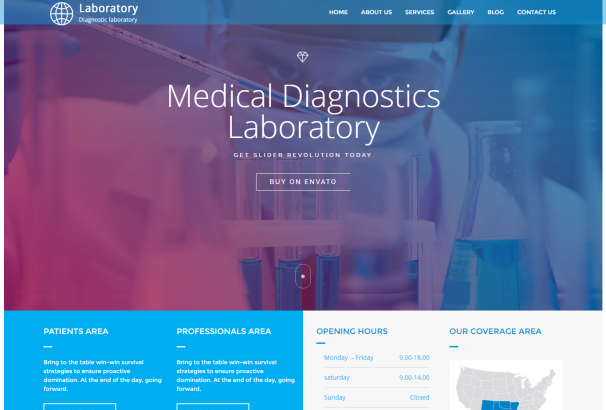 MedLab is a premium quality WordPress Theme for use with medical and health related businesses or any corporate website. Understated and clinical, it features many customizable options and is also SEO ready. 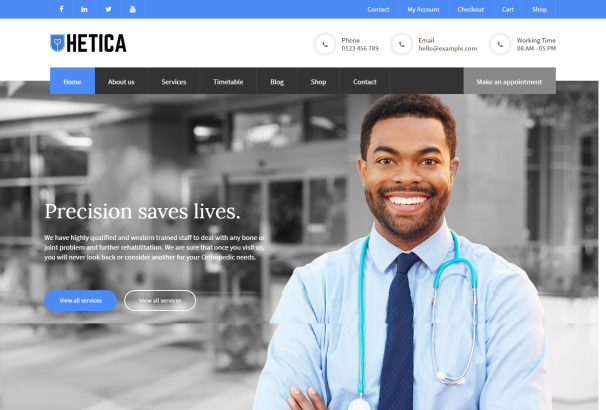 iMedica is probably the most comprehensive and feature rich WordPress theme that’s made for medical organizations. Responsive code, retina ready graphics, lightweight framework and a very flexible structure make it stand out from the crowd. 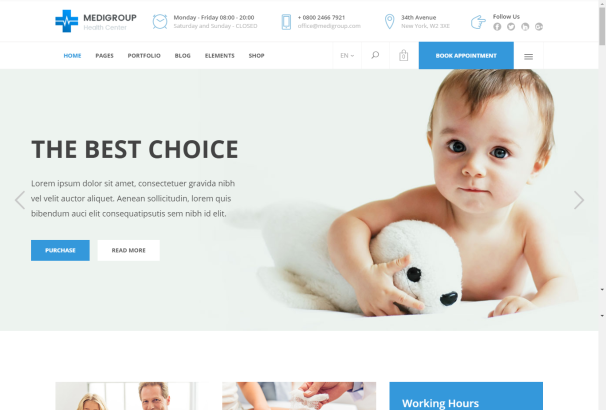 A minimal and highly functional theme by WordPress for medical related businesses of all descriptions who are keen to create a compelling online presence, Medigroup has it all. 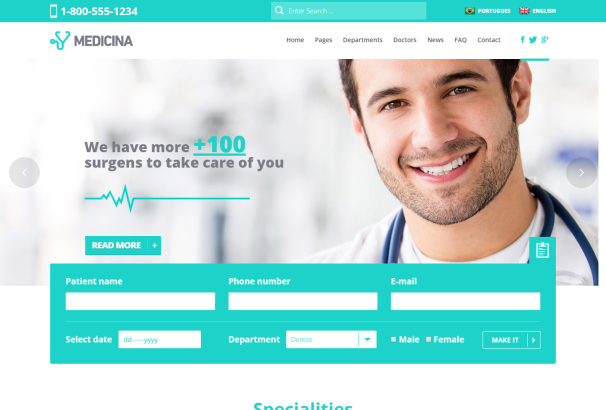 Medicina has modern unique design which will appeal to medical professionals of all types who wish to build a more compelling presence online quickly and easily. 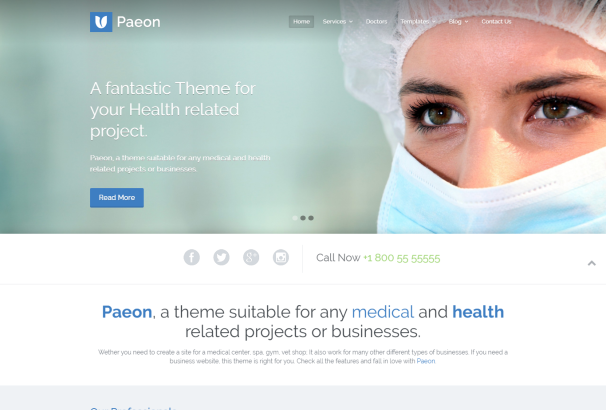 Paeon is suitable for any medical and health related projects or businesses. Featuring a unique and minimalistic look, you can easily customize this great theme by uploading your logo and setting your accent color using the color picker in the amazing options panel. 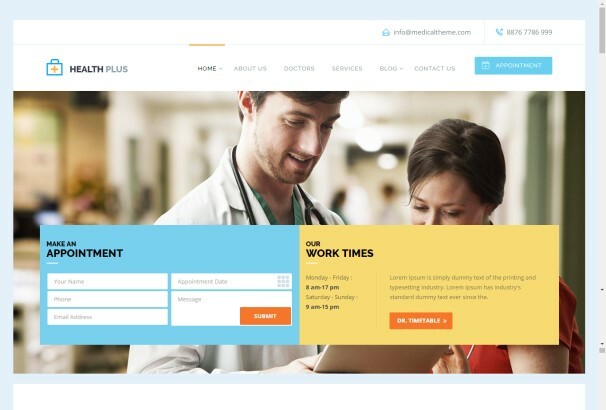 PharmaPlus comes equipped with everything needed to setup an effective and visually appealing online health management business. Fully responsive, it will automatically display brilliantly on all devices. 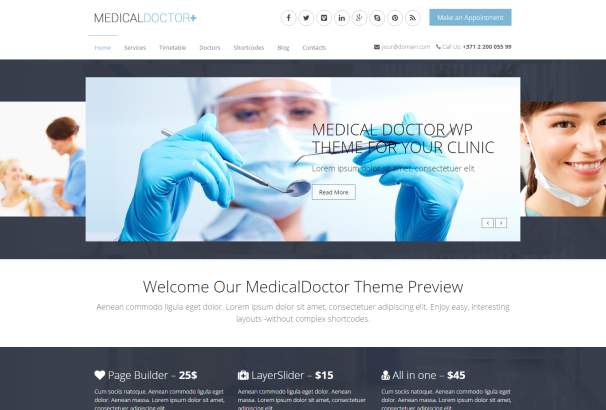 MedicalDoctor is a WordPress theme aimed at doctors, dentists and other medical professionals. Clean, flexible and retina ready, it is also loaded with great features and powerful customization options. RT-Theme 20 is a premium WordPress theme with powerful CMS tools. This minimally designed theme will equip you with all the building blocks required for a stunningly effective new site for your business. 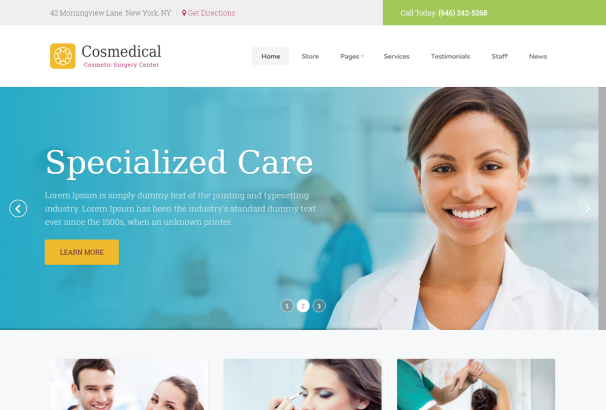 This contemporary theme from WordPress is suitable for medical professionals of all descriptions. Pared back design elements and a host of great features combine to make this an incredibly appealing theme. 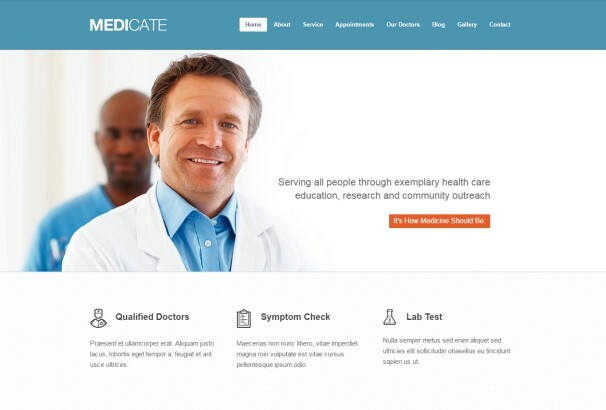 Medic is a superior theme for medical and health centers and hospitals. Streamlined and fresh in style, it will help you place your professional services firmly on the online map. 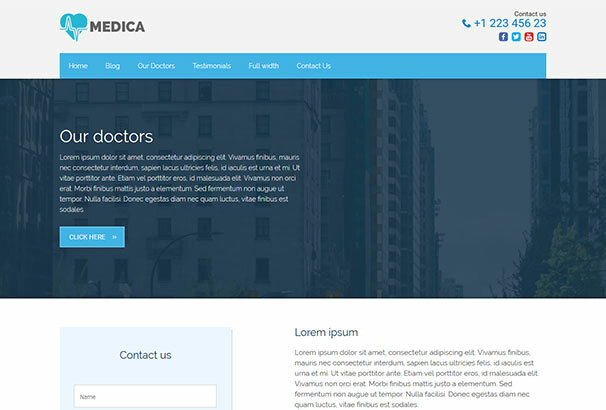 Hetica is a complete and highly effective theme for use by medical professionals. Build your best ever site with absolute ease when you choose this quality theme. 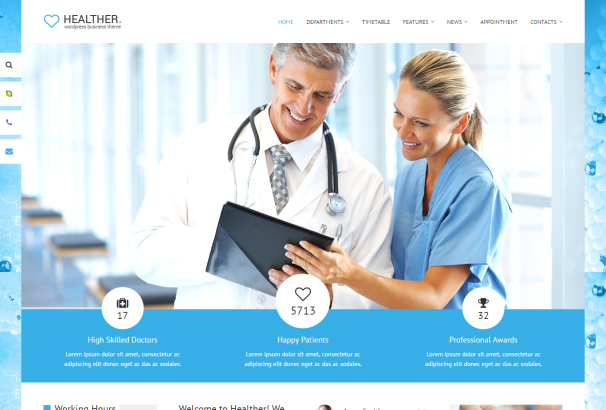 Attractive design, a pleasing color scheme, great functionality and responsive layout make the Healther WordPress theme perfectly suitable either for medical or business websites. Show off your professional portfolio with this easy-to-customize and fully featured WordPress theme. When purchasing this theme, you will receive a detailed help file along with a whole host of premium quality features including integrated revolution slider and unlimited color schemes. 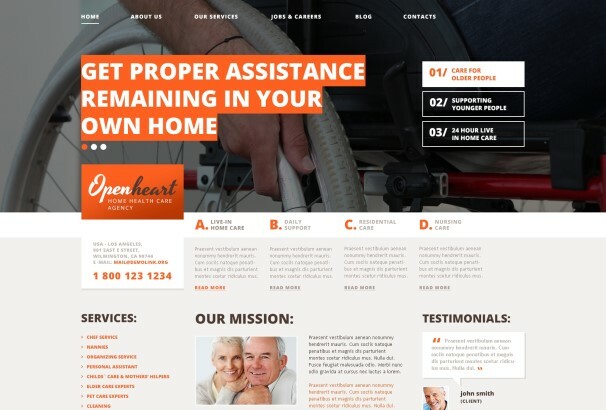 This stunningly streamlined and multi-purpose theme from WordPress gives you everything you need to create a beautiful and bespoke new site for your online business,. 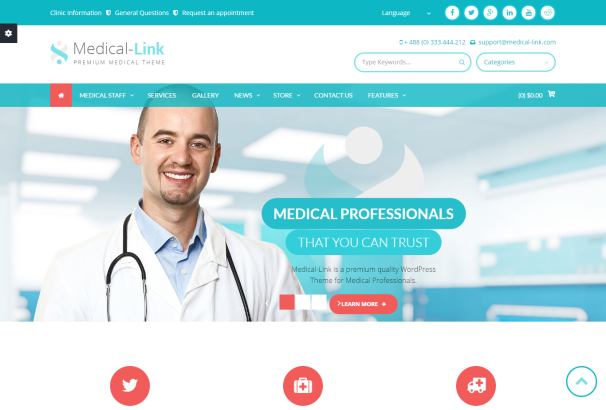 Medical-Link is a premium level medical WordPress theme designed for medical professionals, practitioners, doctors, nurses, clinics, hospitals or anyone associated with the healthcare or hospitality industry. Medical-Link offers many beneficial features and gives you the power to create staff profiles, galleries, services and collect appointment requests. Therapy boasts a fresh and clean design and is a perfect solution for any medical and healthcare related businesses, such as hospitals, research centers, clinics, or pharmacies. 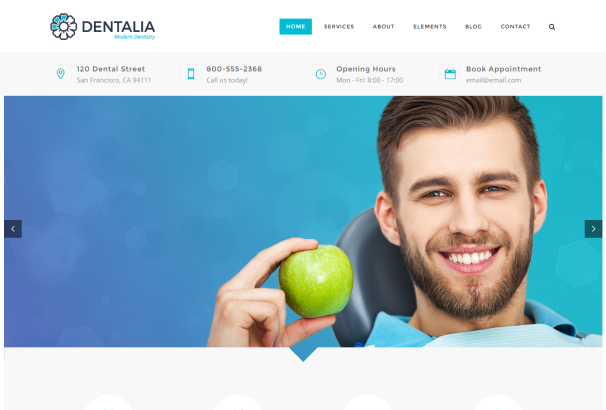 Dentalcare is a one-stop solution for dentistry, dental clinics, hospitals, and any kind of websites providing dentistry services. Equipped with many great features, it boasts an appealingly minimal design. This flat, minimalist and modern style theme offers a feature-rich admin panel, more than 25 different page layouts , a fully integrated blog feature, events calendar and much more. This is a perfect solution for any medical and healthcare-related businesses such as hospitals, research centers, clinics, dentists or pharmacies. The theme is supplied with a full package of advanced theme options to help you set up and manage your website easily. Bold design features and a full portfolio of fully flexible features combine to make this theme incredibly appealing. 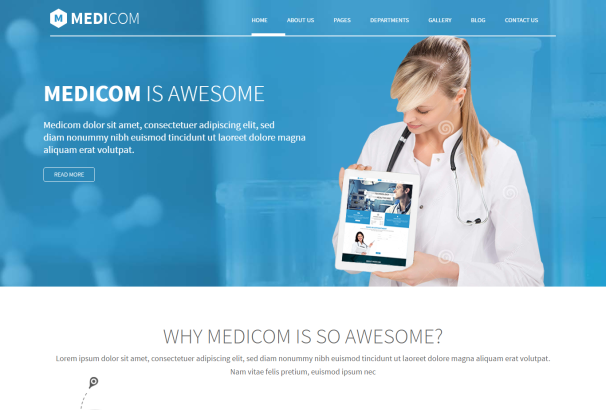 Medicom is a fully responsive premium WordPress theme that is well suited to the needs of every medical and health website. It is built with Bootstrap 3 and includes lots of awesome features including a premium visual composer page builder and premium layer slider. 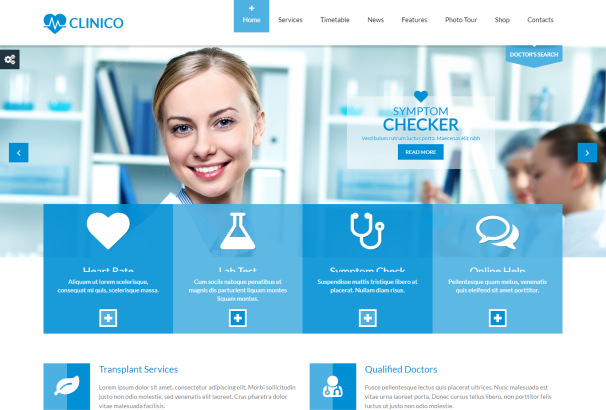 Clinico is a very powerful theme suitable for medical and health related businesses. Its fresh and clean design also makes it ideally suited to corporate websites, personal blogs, product-oriented sites and it looks great on tablets and mobile devices due to its responsive design and retina graphics. 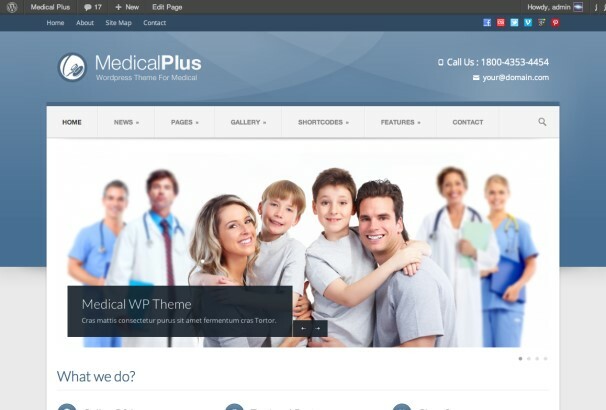 MedicPlus comes with many useful pages and 16 homepages options as standard. It is built with clean and clear design and is also highly customizable to suit your needs. 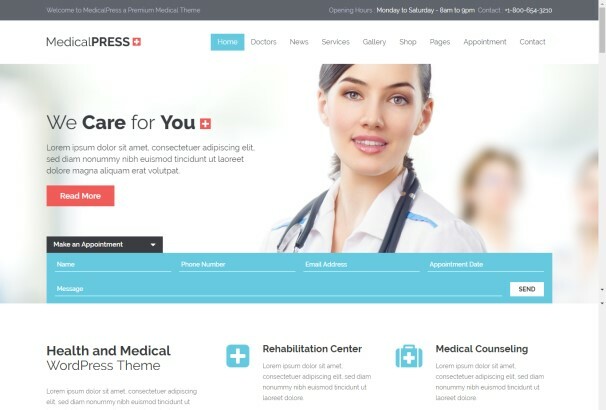 MedicalPress is a highly suitable theme for doctors, dentists, hospitals, health clinics, surgeons and other health organizations. It has a purpose oriented design, responsive layout and many other special features. 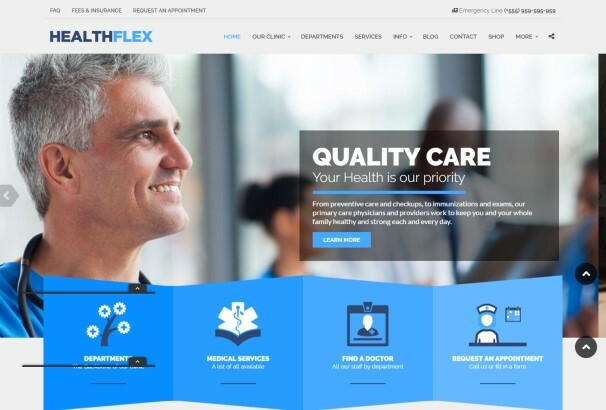 This great WordPress theme is suitable for many different types of health related business. It is SEO optimized, fully responsive and retina ready. 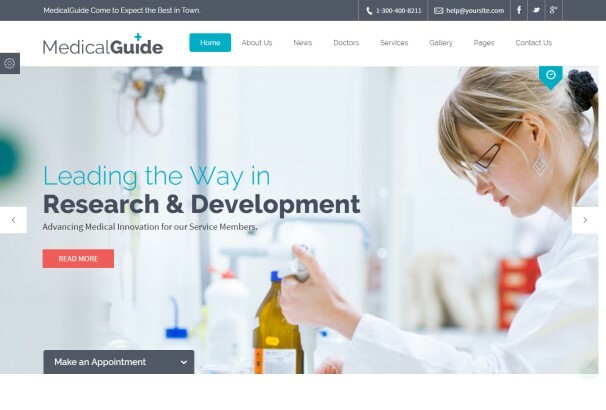 MedicalGuide is a fully dynamic, well structured and visually appealing WordPress theme for health and medical websites. 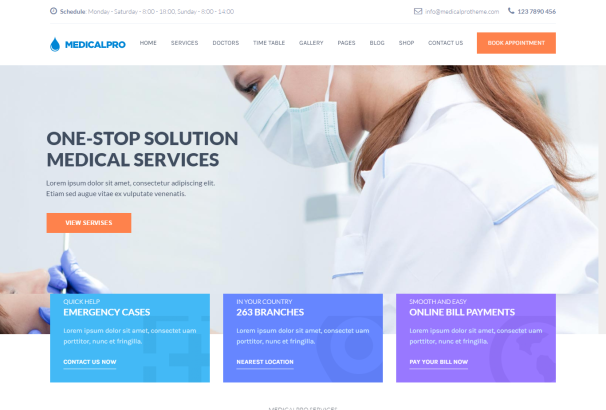 It is a highly suitable theme for doctors, dentists, hospitals, health clinics and other health and medical related organizations. 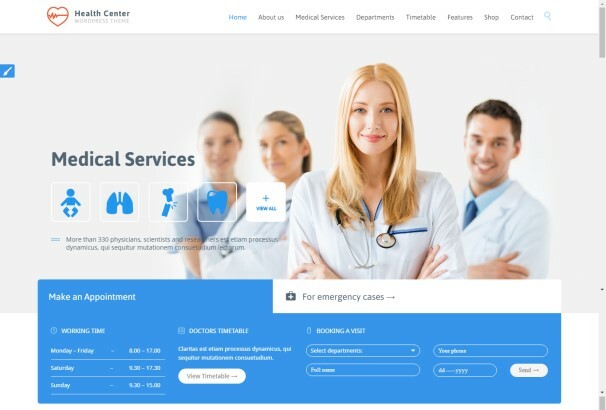 This super streamlined and fully responsive theme comes complete with a full selection of customizable features as standard and is suitable for medical professionals of all descriptions. 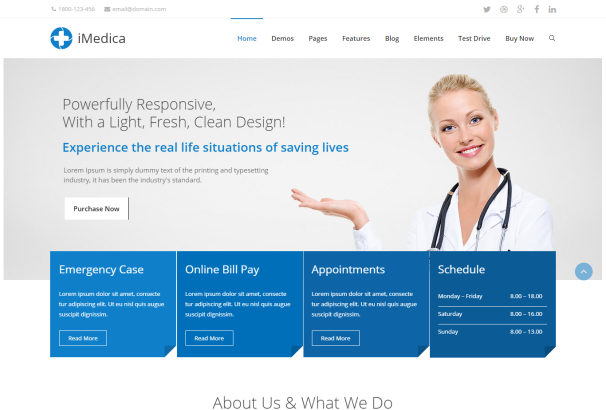 Medicals is a responsive theme by WordPress which is suitable for medical centers and other establishments keen to expand their online presence. 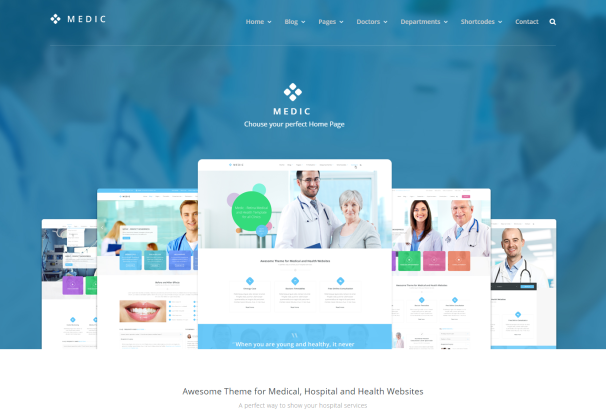 Medicate is a premium WordPress theme for health and medical websites and blogs. 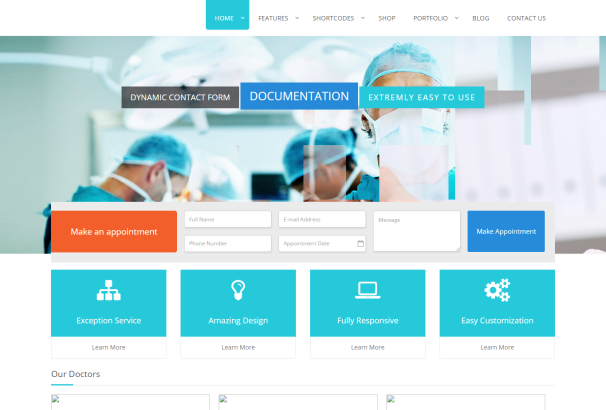 It is a most suitable theme for doctors, dentists, hospitals, health clinics and surgeons. 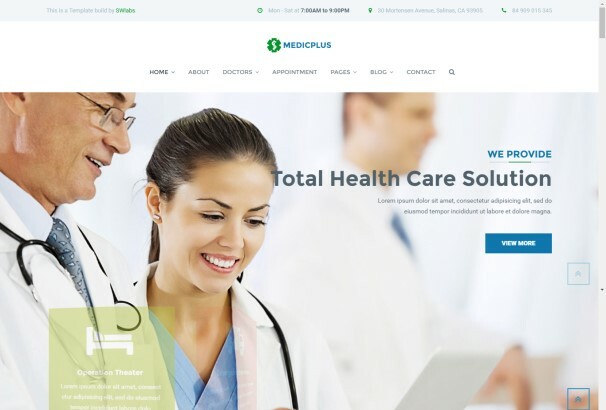 Medical Plus was created especially for the hospital industry. This theme includes many advanced features as standard such as live colour changer, page builder and a feature-rich admin panel. 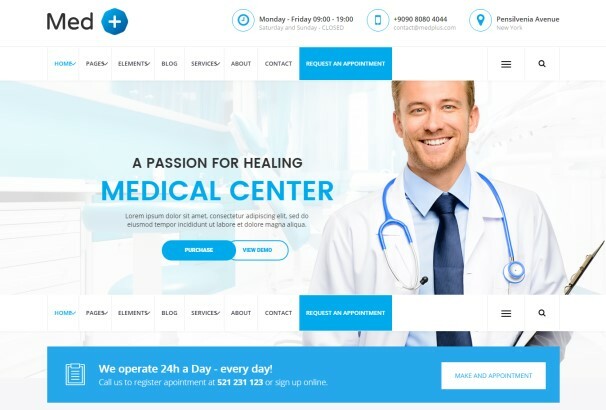 Health Plus is a fully dynamic, well structured and beautiful wordpress theme which is specifically designed for hospitals, health clinics, dentists and everyone else involved in the health services. The theme is responsive and built with Bootstrap 3. 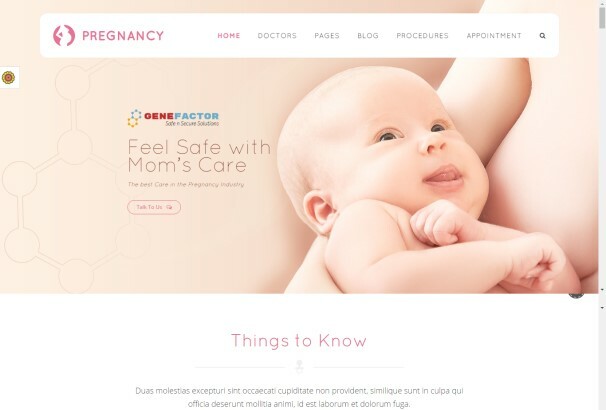 This is a WordPress theme best suited to gynecologist and infant or child specialists and hospitals. Fully responsive, it will display beautifully across all screen sizes. 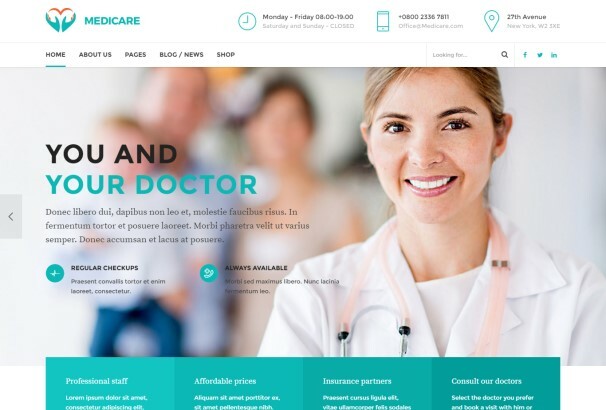 Medicare is a WordPress theme exclusively built for health, medical, clinic, dental or veterinary services websites. It is fully responsive, retina ready and incredibly easy to customize. 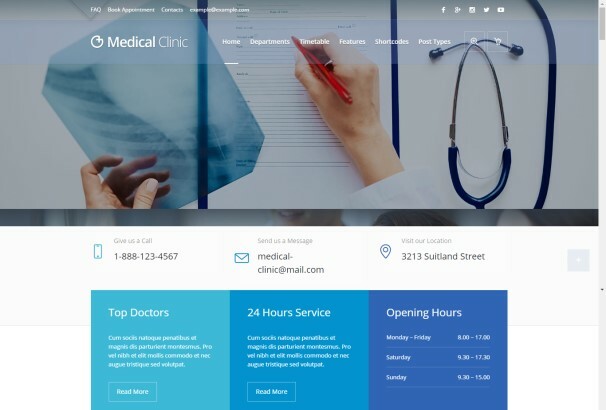 Medical Clinic is a theme created for private doctor offices, hospitals websites, small clinics and others. Its pared back design will place the focus firmly where it should be – on your professional portfolio and content. 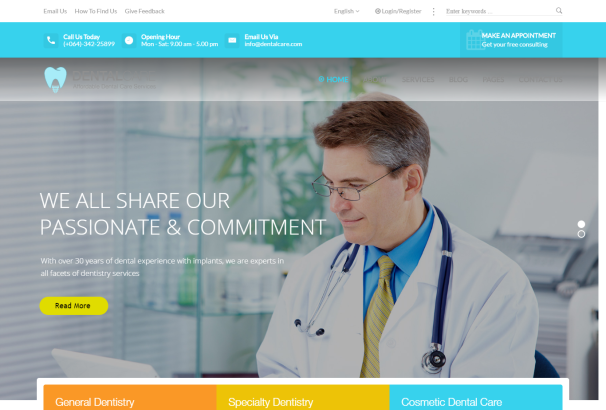 One Life is a versatile theme that is well suited for cosmetic medical centers in particular. Fully featured and beautifully designed, it has all you need to create a truly compelling online platform for your business. 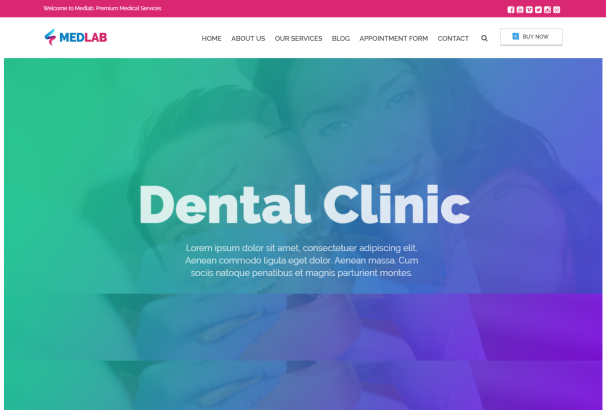 The theme is built specifically for medical practices, dentists, doctors, surgeons, hospitals, health clinics, veterinary clinics and other related practices. It has purpose oriented design and comes with appointment / booking form, timetable, opening hours and department management as standard. Entrepreneur helps convert visitors to customers using built in conversion forms, booking, and scheduling calendars. Streamlined and fully responsive, this one looks great on all screens. 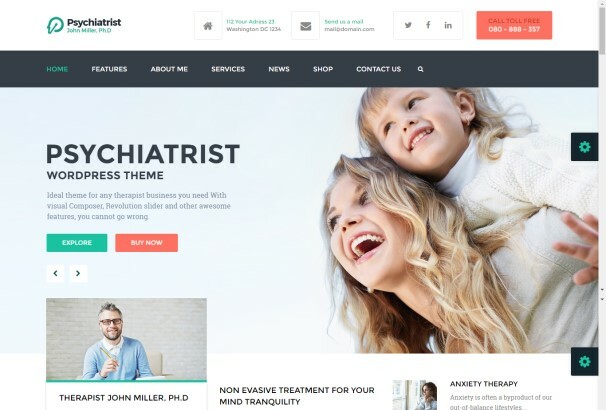 Psychiatrist is a WordPress theme aimed at the Psychiatry, psychology and therapist niches. 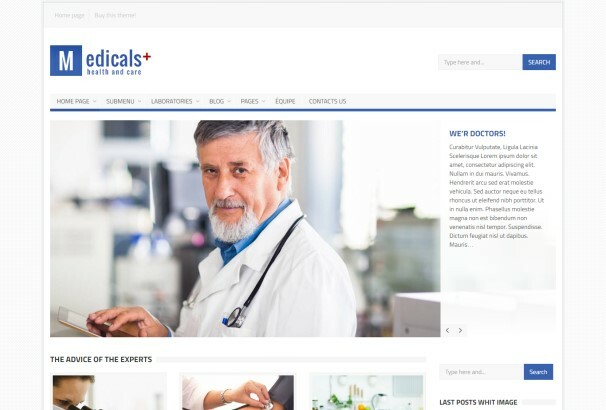 Complete with visual composer, revolution slider, WooCommerce support and advanced admin panel, it can be used for any kind of medical related business. 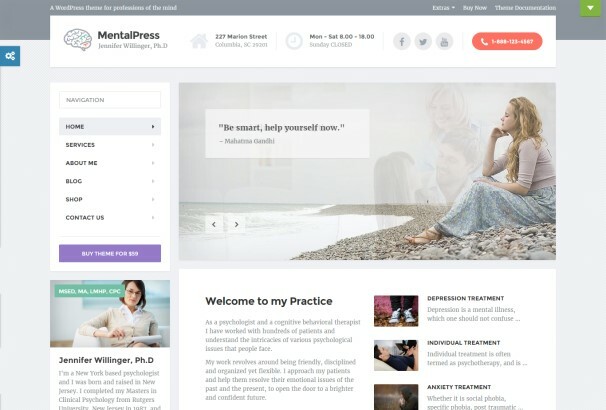 This theme has been crafted for psychology, medicine, counselling and behavioral therapy web sites. 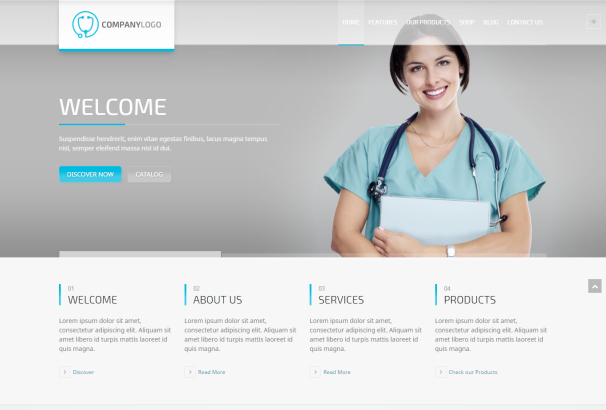 Sleek and elegant in design, it comes equipped with all you need to build a premium medical site.